Looking for a rewarding career in Agriculture? 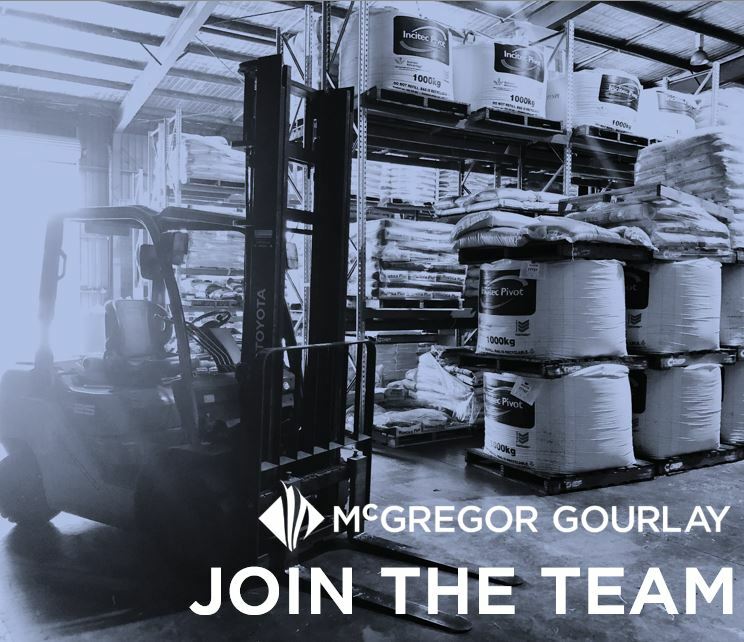 We are now hiring for position of Storeperson to be based at our Lismore NSW branch. This is an opportunity to expand your skills within a team of experienced professionals with access to years of combined experience while working with some of the industry’s most progressive growers in year round cropping, tree crops, sugar cane and livestock production. Reporting to the Branch Manager, duties and responsibilities include receipt and dispatch of goods including farm deliveries, maintenance of yards and machinery. To assist with and help maximise customer service by providing friendly, efficient, accurate and timely delivery of goods to customers. Assist the branch operations manager with inventory management as required. Accurate recording of stock delivered on farm and sold ex warehouse. Accurate recording of all stock received from or returned to suppliers. Timely and accurate loading of goods to customers as requested by branch sales staff. Daily delivery of paperwork from goods received to Operations Manager. Assist with full monthly stock counts or as requested by Operations Manager. Weekly stock takes of frequently moving stock or as requested. General maintenance and general cleaning of warehouse, yards and machinery to ensure safe and efficient operations. Compliance with Dangerous Goods handling regulations, company WH&S and employee policies. Current drivers, forklift and MR truck licences. Agsafe accreditation would be desirable. Strong commitment to customer service and experience in warehouse operations including safe and efficient handling and storage of goods. The ability to communicate and work within a team with a willingness to assist others in achieving their work objectives.